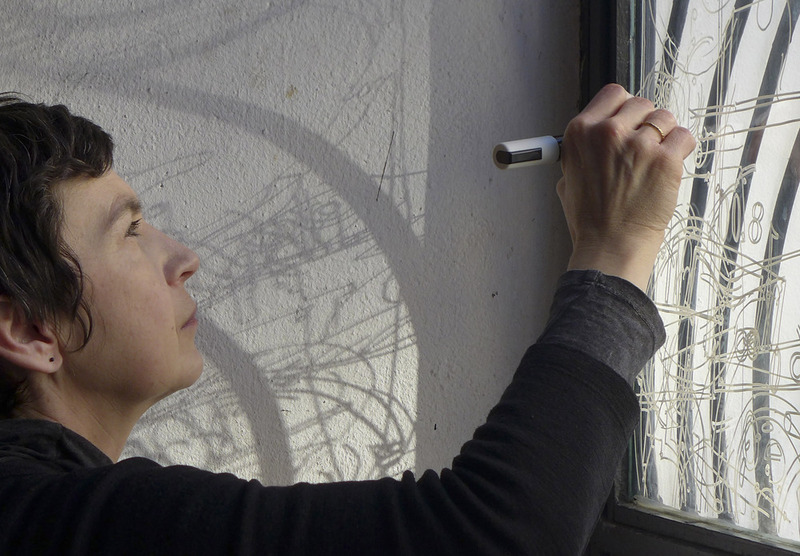 As part of Segue 2016, a festival exploring the cultural interplay between the continents of Australia and Europe, Artist in Residence Gosia Wlodarczak will undertake an eight-day drawing performance installation on glass titled stCloud: Frost Drawing For Segue. This residency connects iconic Canberra cultural spaces and their artwork and information – an icloud in tangible form referencing artist's childhood memories of frosty windows in Poland. "I am trying to find the proof that I am alive. Drawing seems to be the language, the best means to do it. I only draw what I see. Every single glance produces a drawn shape. Every drawn shape both embodies and documents corporeal existence". stCloud: FROST DRAWING FOR SEGUE performance outcome—drawing on glass installation with interventions at The Street Theatre, Canberra Museum and Art Gallery, National Gallery of Australia and other stCloud locations will be a visual archive of time, space and action Gosia lived through during performance. Segue 2016 is presented by The Street Theatre. Find out more about the full program here.